Spring Cleaning Sale! 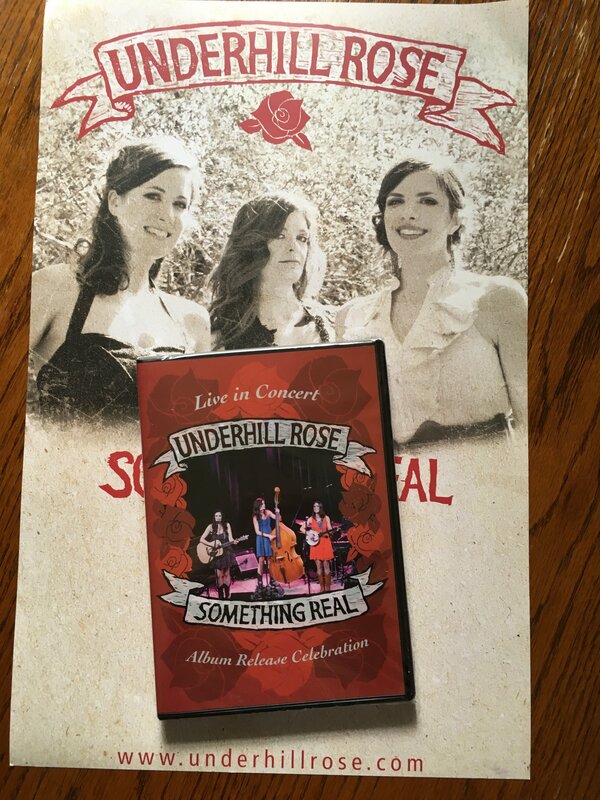 Our Something Real Album Release Celebration DVD captured a pivotal moment in the Underhill Rose journey when we were joined by most of the fabulous musicians that played on our AMA chart-topping release for a live show at Isis Music Hall. As part of a package deal, you will also get one of our high-quality Something Real posters, signed! Supplies are limited so grab em' while they're hot!